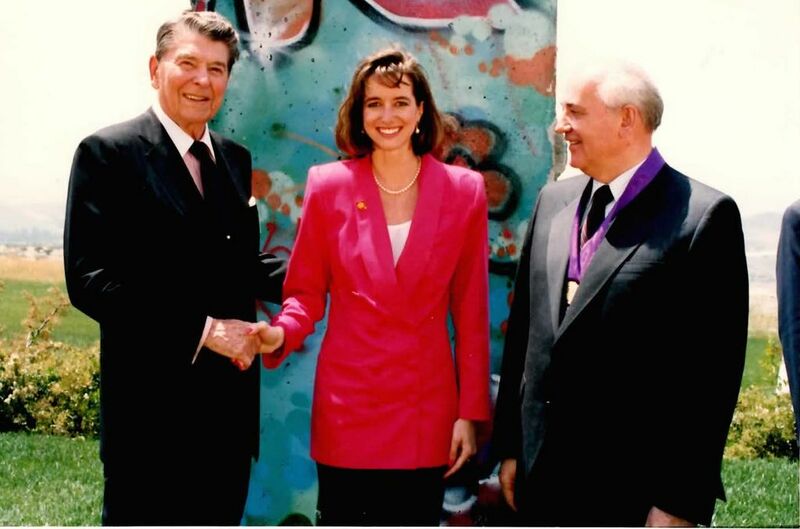 Orange County native and then-senior at Pepperdine University Peggy Grande’s dreams of working in politics came true in the continuation of President Ronald Reagan’s story, and the beginning of her own. 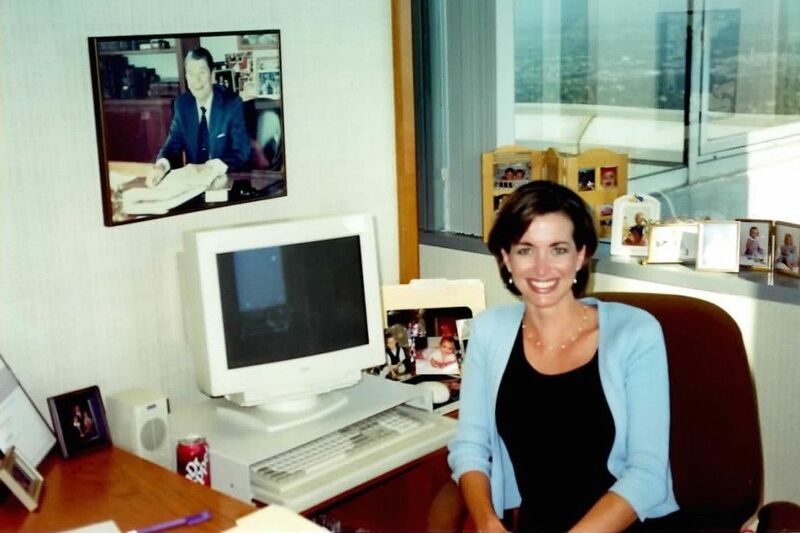 Shortly after Reagan’s departure from the White House and return to Los Angeles in 1989, Grande began interning for his LA office in Century City. Four years later and Grande became his right-hand woman and close friend. “We were such an unlikely pair. I was in my twenties and he in his eighties, but there was this great connection we had. He reminded me so much of my father in personality, in optimism, in his faith, his corny sense of humor and his genuine delight in people,” Grande said via phone. On February 21, 2017, Peggy Grande’s book, “The President Will See You Now: My Stories and Lessons from Ronald Reagan’s Final Years,” will be hitting the shelves. The book is a memoir regarding her 10 years (from 1989 to 1999) working for President Ronald Reagan. “In a time when America is looking into itself and what we are all about, what the future holds for us, how important it is to sometimes pause and look back when we were at our best and see what we can do to learn from that to paint a better picture and bring the past forward,” Grande said. This book looks at Ronald Reagan the man, who was “more charming, more gentlemanly, more handsome, and more gracious in person than I even imagined,” Grande said about the opinions of those who met Reagan in person. During an era of “a star-studded parade of celebrities and world leaders,” Reagan was “ always thinking about others, how he affected other people. He was the president of the United States, he had every right to make everything about him, and he could have been the center of the universe, but that’s just not the way he led or lived his life,” Grande said. Grande finished writing and then reliving her story during the editing process after turning in her manuscript on July 1. With the book’s details freshly in her mind, Grande gave The Graphic the inside scoop via phone on not only the story of a former president through a personal set of eyes, but her own story as well. This was the story of a senior Organizational Communication major and Business minor who had the opportunity to work for her hero and continues to be a living “steward of the president’s legacy,” Grande said. This is the story of a wife, mother of four (three of which she had while working for Reagan), hardworking woman, and friend/assistant to a “gracious” man who just so happened to also be a historical figure. Reagan had a chivalric disposition with Grande. He may have been her superior in title, but she said he treated her as a lady through kind acts such as walking alongside her while holding her elbow, insisting on her going through the door before him, and never letting her carry his belongings, Grande said. Grande began like any graduating Pepperdine student, sending internship letters during her first semester senior year in 1989 to possible employers. The results were her dream career and vocation. “I would sit in the back of this Secret Service driven, chauffeured car with Mr. Reagan and think, ‘how did this happen?’” Grande said. When Grande sat in her dorm room in 1989, she said she found it fulfilling enough to be interviewed by the Reagan office. She was not expecting to actually be hired for the job or climb to the position she did, let alone write about her experiences someday. “My dad was always one of those people that said, ‘somebody’s got to have the job you want, and it might as well be you,’” Grande said over the phone. It was not until one of Grande’s inspirational talks in Washington DC a couple of years ago that the thought of writing a memoir came to mind. One of her listeners, a man working on the University of Virginia’s Presidential History Project Database, approached Grande and told her how necessary it was to write a book about Reagan. Grande never planned to write a memoir about Reagan until the overseer spoke these fateful words: ‘Peggy if there was a woman who sat outside of Abraham Lincoln’s door every day for 10 years, don’t you think we’d want to know what she thought, experienced, and what she witnessed? Don’t you think that she would owe that to history?’” Grande quotes. “I looked at him and said, ‘those words are going to curse me,’” Grande recalled with a laugh. But it was another talk of Grande’s that sealed her authoring fate. When speaking to a group of executive assistants in New York, Grande ran into John F. Kennedy Jr.’s executive assistant, Rosemarie Terenzio. “We were both in that same arena of very high profile individuals that we had a private conversation and just connected instantly,” Grande said. Terenzio, who authored a book about her former boss called “Fairy Tale Interrupted,” gave Grande a copy to read. After reading it “from cover-to-cover” on her way back to Los Angeles, Grande emailed Terenzio to express her admiration for it. In response, Terenzio thanked her and copied on the email her literary agent “Steve” (whose last name Grande did not include). The following events happened like clockwork. The next thing the former executive assistant knew, she was on the phone with the agent and on a flight back to New York a couple months later to meet with him and a publisher. A couple weeks after their meeting, Grande received an email from Hachette Book Group, one of the top publishers in New York, and signed with them November 2015, Grande said. “It just goes to show for young people and encourage them to meet people, to connect with people and stay connected with people and don’t be afraid to say yes. I spent my life trying to say yes to every opportunity that comes up and I say no only when I have to. Great things have happened as a result,” Grande said. Grande opened 2016 with a new chapter in her life. She started planning out the book in January and began the writing process in March after Mrs. Reagan’s passing. She was simultaneously drafting the memoir and traveling for “speaking engagements previously committed” to in March and April. May and June, her final months of composition, she dived completely into the writing process, keeping her schedule completely clear of any functions to meet her July manuscript deadline, Grande wrote via email. The book will be divided into three sections: the beginning is a nod to the “star studded events of those first years” when Reagan was president, Grande said via phone. “One of the things looking back that he (Reagan) was most proud of during his eight years was that he helped people restore their faith in our country and restore their faith in themselves. I think we miss him as a person and as a president, but I think we miss that feeling of being proud of who we are as Americans and being proud of what America stands for on the world stage,” Grande said. “Most people can’t relate to being the president of the United States, but most people can relate to being young and green and starting a job where you feel a little bit like a fish out of water,” Grande said. Thankfully, the former president was “always courteous” to Grande and her family. Reagan and his staff recognized Grande’s children and husband would continuously play a prominent role in her life, even when hiring her on permanent staff as a pregnant woman in 1989, Grande said. 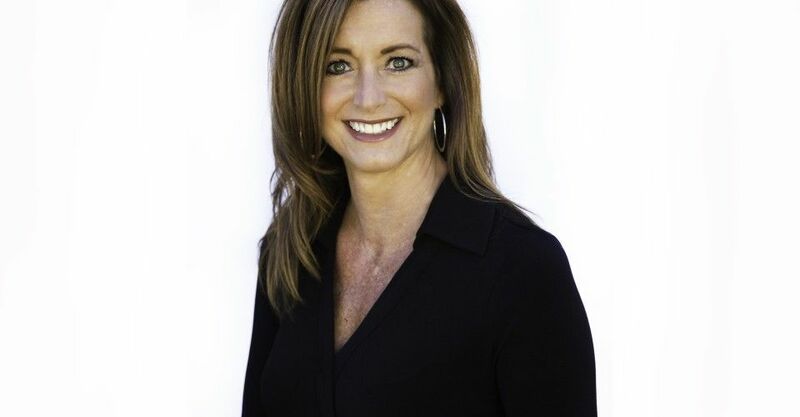 “That was back in the day when obviously there were working moms, but employers were not legally obligated to be patient as they are now with pregnant women and returning moms, so I very much appreciated the fact that they were willing to take me on in that role even though they know I was taking time off and I would come back with the challenges and juggling of being a new mom,” Grande said. Reagan not only respected Grande’s relationship with her family, but he soon became like family to Grande himself. “He wasn’t just someone the world mourned and missed, he was also personally close to me. My husband played golf with him, my kids would go up and visit him at his house all the time and swim in his pool and go up to the polo grounds, and you know, interact with him, celebrate birthdays and Halloween and things with him, so he was somebody personally very close to us,” Grande said. Grande also developed a strong relationship with Nancy Reagan. She knew Mrs. Reagan very well, though Mrs. Reagan had her own staff and executive assistant, and Grande worked mainly with Reagan. The two driven women did have the opportunity to spend time together whenever the Reagans coordinated travelling schedules, Grande said. “I had learned so much from her (Mrs. Reagan). 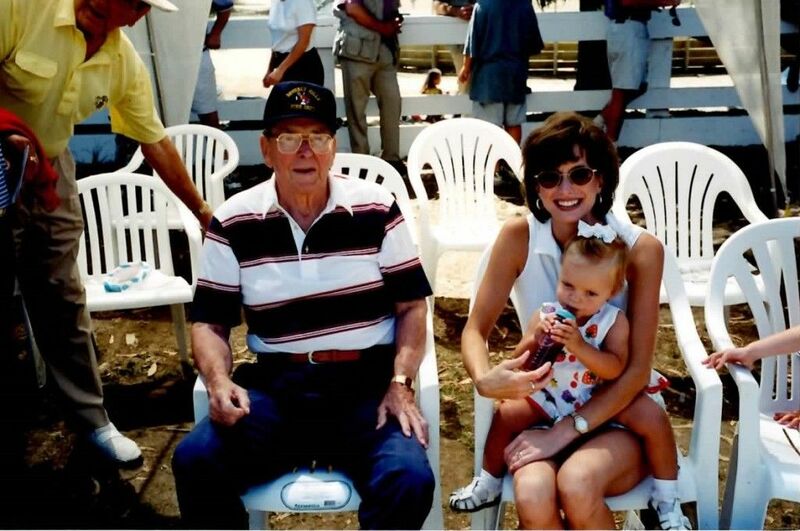 She was an amazingly strong, remarkable woman. She really was the power and the strength behind him. I don’t think he would have gotten where he was without her in a lot of ways and she was just such a great champion of him. She was always about him, about his legacy, about his vision, about his goals and she was very comfortable with her role behind the scenes,” Grande said. These cemented bonds made the passing of both Reagans heart-wrenching for Grande. As she was heavily involved with both Reagan funerals from a logistical standpoint, it took time away from her opportunity to “mourn their loss as people,” Grande said. “You get into that professional mode, but personally there’s this great devastating loss, but I also felt a sense of duty. I wanted the world to see the best of them. And for the president’s (funeral) service there was this very high bar set be worthy of the end of his life to celebrate him in a way that was memorable and moving and inspiring. There was a lot of pressure to capture it and I think that was what drove me and motivated me to kind of stuff the emotions, get through the week, because I wanted it to be something that honored him,” Grande said. While Grande will not “give away” the final chapters of her book, she said it does discuss Reagan’s battle with Alzheimer’s and passing. Yet, the concluding chapters find a bigger, “this is not the end” outlook in death that Reagan himself would have approved of, Grande said. “It’s not just a tragic tale. It’s okay to feel deeply. When we love something, it’s hard to let it go. But we’re grateful for having something that we loved so dearly,” Grande said. Grande’s writing process did not come without its ups and downs. Upon first thought, Grande assumed her book would be reflective of speeches she has given around the world and nation regarding the “principles of leadership” through her experiences working for Reagan. However, she realized quickly that “the way you speak and present something is really different from how you write it,” Grande said. With the help of her collaborator, who Grande preferred to leave unnamed, Grande was able to navigate through her journey of composition. “I was almost too close to my own stories and I would talk about things in passing and she’d say ‘Peggy that’s really interesting, you should write about that.’ And I’m thinking, ‘that, that’s just an ordinary part of my day,’ but people see it differently,” Grande said. Although Grande has played a contributing role in other books about Reagan and written a handful of manuscripts for historical background, this is her first book where she is “in the driver’s seat,” Grande said. Therefore, the collaborator helped the rookie author discover her writing “voice” in addition to sifting through content worth elaborating on. “Some of my favorite chapters in the book are ones that I didn’t intend to write,” Grande said. Grande said writing her book on Ronald Reagan became a therapeutic tool for her. It was not only an opportunity to relive her past, but to acknowledge certain emotions that had occurred during her time parting from Reagan. “There were three chapters at the end where I was typing on the keyboard and just sobbing. But then I go back and read it and feel like I captured that moment for the reader. And I feel like they’re going to be right there in the room with me, seeing what I’m seeing, feeling what I’m feeling because anybody who admires Ronald Reagan or loves the feeling of America during the 1980s mourned the loss and passing not only of him but of that chapter of our nation’s life. Not that I hadn’t dealt with it, but I had worked through a lot of things and thought of a lot of things and walked through lot of things I hadn’t focused on or fully appreciated. So by the end I did feel like it was a very emotional journey,” Grande said. After rereading sections of her book a few times over, Grande said she was satisfied with the pages she had woven together. “I feel like it captured him and said what I wanted to say,” Grande said. 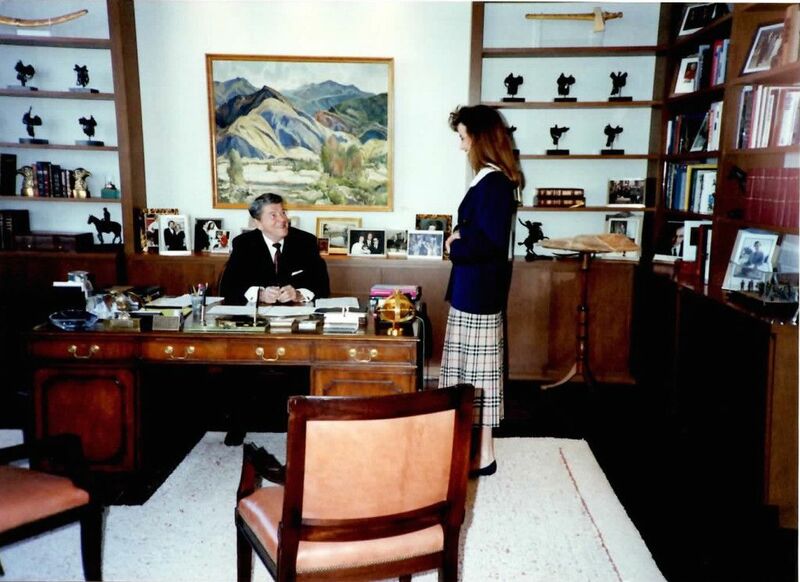 In addition to roughly 275 pages and 80,000 words reflective of the “imprint” Reagan made in Grande’s life, we can look forward to 16 pages of never before seen images Grande captured herself in the president’s office. These photos will be painted with the presence of prominent world leaders who visited Reagan in those moments purely to “enjoy the camaraderie” and the friendships built over the years,” Grande said. “I felt like the ultimate fly on the wall for all of these incredible meetings that he had, so a lot of those photos have never been published before so I’m excited to get them out of my personal collection and share them with the world because they really show warm and wonderful sights of him post-presidency,” Grande said. When asked what her fondest memory with Reagan was, Grande painted a picture of complete excitement when figures such as Margaret Thatcher or Mother Theresa walked through Reagan’s door. However, her truly treasured moments with her boss were the “quiet time” spent one-on-one with him when they were “comfortable in each other’s space,” Grande said. At the end of the day, Grande attributes her success to her hard work, her education at Pepperdine, and the Lord. She describes in her book the important role “divine providence” played in getting her the executive assistant job and how she was able to be a support system in Reagan’s faith through her work. “It’s very easy to say, ‘oh my gosh, God why? Did you really think I was up to that? But if he puts you in a place, you have to trust he will give you the skills and the strength to get through it. I didn’t know exactly why this young college student was taken from obscurity and dropped to the feet of greatness. Yet, I knew there had to be a purpose for it because on paper it didn’t make sense at all. There was no reason why I should have been there over a million other people but when God has done his handiwork and made it possible, I wanted to live up to every bit I could and just be a steward of that opportunity and be grateful for it,” Grande said. As Grande continues on the narrative of her life, Grande believes that through her upcoming book’s chapters readers can gain “a new fondness and appreciation for Reagan” as well as insight to how they can be successful protagonists in the story God has authored for them. “I hope that in my story people can see their own story, that I can be a vision of what they can do in their lives with hope, faith and optimism, and a lot of really hard work,” she said.